Science-Fiction fuels the imagination, while Science aims to realize some of those visions. – Is faster than light possible? – Can humans ever time travel? – Is the quantum universe real? – Can string theory provide a viable solution to the concept of multiverse? – Can we really one day say: Beam me up Scotty! On the 18th of January 2014, the Ballarat Observatory will be holding the first Sci-Fi Event ever in Ballarat. This event is STRICTLY NOT about extraterrestrials, UFOs, paranormal, fantasy, or anything that has no connection to Science. 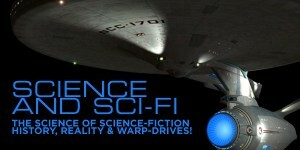 This event is geared at showing how the real science that is done by scientists has some connection to science-fiction. It is also about showing that good science almost always starts as fiction, and it may take a while (decades or even millennia) before it is realized. There will be a myriad of stalls, games , music and much more…Just to have fun, you can even come dressed as your favorite character from science-fiction! 3.00pm Gate open – Free Gate entry. Third Rock Cafe open as well as other food stalls. Or BYO Picnic. 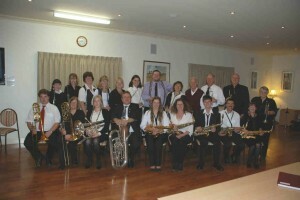 3.00- 5.00pm HADDON COMMUNITY CONCERT BAND playing a wide variety of music from popular pieces to musicals and a dash of sci fi, Leggo Poetry,Sci Fi games, (BYO game if you have one to share), solar viewing, stalls. 5.00 – 5.45pm Free Lecture “SCIENCE AND SCI-FI – FROM KEPLER TO WARP DRIVES” with Saeed Salimpour, bring your questions along. 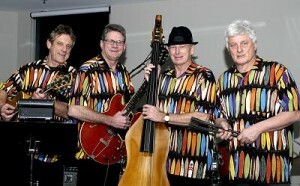 6.00 – 6.45pm great music with the SURF SHADOWS, back by popular demand!! playing rockin’ classics, surf, sci fi sounds. 7.00-7.45pm SURF SHADOWS – you’ll find it hard to sit still!! 7.45-8.00pm Best dressed Sci- Fi Character winners announced Open and Junior section. Entry to the Event, Music, Presentation, Games, Stalls is FREE. This is not an exhaustive list, however, it provides a good guide.